Hindsight is a wonderful thing. With just eight games remaining of the 1968-69 Bundesliga season, 1. FC Nürnberg parted company with their unpredictable, often volatile, yet metronomically successful coach Max Merkel. It had been an uncharacteristic season of struggle for Merkel, with his club anchored to the bottom of the Bundesliga, locked within a dogfight for survival. It was a campaign which had included a near four-month run without a league win, a winless streak which had stretched throughout a torrid winter. Merkel’s last game in charge of Nürnberg, in late-March, garnered a much-needed yet disjointed 1-0 victory at home to Eintracht Frankfurt – a game settled with an own goal by Karl-Heinz Wirth. It was a rare occurrence of luck during the 1968-69 season for both club and coach. Given that Nürnberg had just taken five out of a possible eight points over a four-game span, it was a bold call to make when club and coach parted company. That four-game span had provided the closest thing to momentum the club had enjoyed since October. It was the second successive season when the fight for points during the run-in had been intense for the club. Twelve months earlier, rather than a relegation battle, Merkel and his employers were embroiled in an ultimately successful fight for the Bundesliga title itself, holding off a stunning charge from a Werder Bremen side that went unbeaten over the course of the last 14 games of the campaign. While their heydey had undeniably come during the 1920s, in the seasons prior to the 1963 launch of the Bundesliga, Nürnberg had risen once again to become one of the major players in the bunfight for domestic supremacy in West German football. Crowned champions in 1960-61, their eighth title success had also been a record-breaking one, as they edged ahead of Schalke on seven title wins. For the Bavarian giants, however, the initial seasons of the newly formed Bundesliga hadn’t proved as harmonious as hoped. Placed only ninth in the debut 1963-64 season, a highest placed finish of sixth had been achieved in 1964-65, a feat which was repeated the following season. Yet, when Merkel walked into the club in January 1967, he was there to take over a team struggling down in 14th position and facing a potential relegation battle. Merkel, who went head-to-head with Nürnberg for the 1960-61 title while the coach of Borussia Dortmund, had gone on to lead 1860 Munich to Bundesliga glory in 1965-66, the culmination of a remarkable five-season spell that also saw him claim domestic cup success and reach the 1965 European Cup Winners’ Cup final at Wembley against Ron Greenwood’s West Ham. It was quite a coup when Nürnberg gained the services of Merkel, just weeks after he’d unexpectedly departed 1860 Munich. The ship was steadied and a 10th placed finish was obtained. It was a busy summer of transfer dealings in 1967 for Merkel, yet it was with only a mildly altered starting line-up, and what he still considered to be an ageing squad, that FC Nürnberg began the 1967-68 season. Nine players departed the club in the summer of 1967, inclusive of the former West German international midfielder Stefan Reisch, while of the six arrivals, only the Austrian international August Starek, who was brought in as Reisch replacement, and former Yugoslavian international winger Zvezdan Čebinac would make a genuine impact. 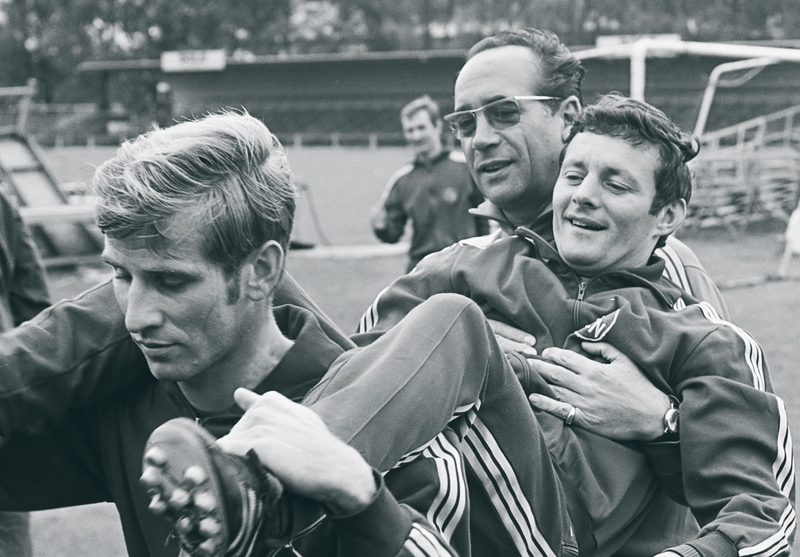 Starek and Čebinac were key to the Bundesliga success, joining a line-up in a midfield which sat in front of the long-established defensive unit of goalkeeper Roland Wabra and his solid backline of Horst Leupold, Ferdinand Wenauer, Ludwig Müller and Fritz Popp. Starek and Čebinac slotted into the wide positions of a midfield which contained the central steel of Karl-Heinz Ferschal and Heinz Müller in a team which boasted the attacking potency of Georg Volkert, Heinz Strehl and, most emphatically of all, Franz Brungs. Despite the summer changes, it was a relatively familiar set of players and a self-contained group which took the Bundesliga title. Just 15 players made an on-pitch contribution, with three of those totalling only eight appearances between them. Despite the late Werder Bremen charge, Nürnberg held their nerve and clinched the Bundesliga title on the penultimate day with a 2-0 victory away to their, at the time, still subordinate Bavarian cousins, Bayern Munich, whom they’d beaten 7-3 in the reverse fixture earlier in the campaign, and at that point could boast only one pre-Bundesliga title to their honours list. This proved to be a supernova moment in Bavarian football. Within a year the landscape was altogether different. When Merkel came to restructure his champions during the summer of 1968, he took not just his club’s fans and players by surprise, but the entire Bundesliga too. Top scorer Brungs, with 25 goals to his name during the title-winning campaign, was sold to newly promoted Hertha Berlin, along with influential midfielder Ferschal. While after just one season with the club, Starek was allowed to complete a switch to Bayern Munich. These particular transfers were the most seismically felt ones from an exodus of 11 players in total. It was a bold and risky strategy from Merkel, and with an intake of 13 new players, five of whom were promoted from the reserve side, it wasn’t a promising start when the champions opened the defence of their title with a 4-1 loss at home to newly promoted Alemannia Aachen, before slipping to another defeat a week later at Kickers Offenbach. The early turbulence seemed to settle, however, with home victories against Gladbach and Kaiserslauten sandwiching a point gained away to Hannover. New members of the team, Klaus Zaczyk, Erich Beer and Dieter Nüssing, all found the net, hinting that Merkel’s much-questioned summer transfer activities might well go on to be vindicated. By the time Nürnberg were to win again, however, it would be a month later, and they’d already found themselves knocked out of the European Cup, comfortably beaten by Ajax in Amsterdam. 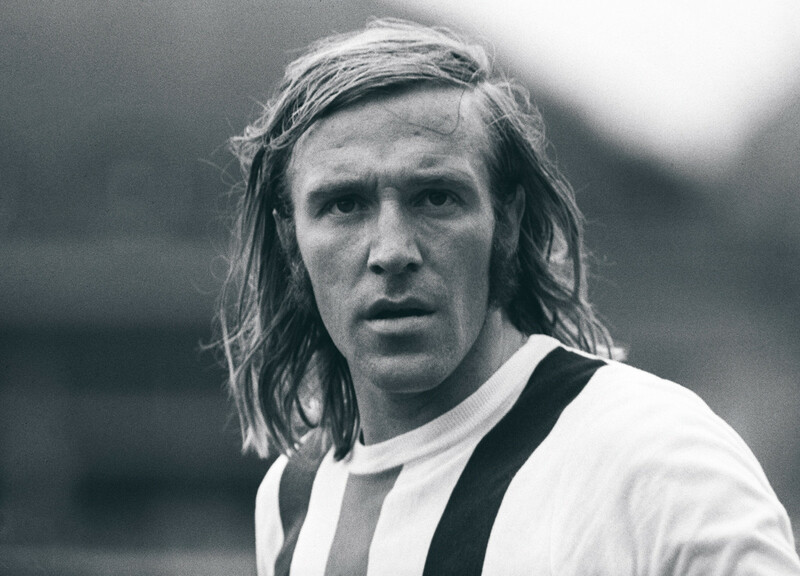 A 3-0 win at home to Hertha Berlin came three days after being dismantled by Rinus Michels rising force, a win which included a goal from another of Merkel’s new signings, Hans Küppers. Küppers arrival flew in the face of Merkel’s insistence on lowering the age of his squad. Fast approaching the age of 30, Kuppers had played for Merkel at 1860 Munich and proved one of the few consistent plus-points of a troubled season, ending the campaign as the club’s top scorer, a fete attained from midfield. While Nürnberg weren’t as defensively watertight as they had been the previous season, resulting in the goalkeeper Wabra being replaced by Jürgen Rynio, and the Danish footballer of the year; Johnny Hansen – another of Merkel’s summer recruits – coming in to bolster the defence, it was up front where bigger problems lay. The goals of not just the departed Brungs were badly missed; Strehl was also hit by a succession of injuries. Brungs and Strehl had shared 43 goals during the title-winning season of 1967-68. Without the input of Brungs at all and injuries restricting Strehl to just five goals for the 1968-69 season, it was a recipe for disaster. Between early October and late February, Nürnberg won just once in the Bundesliga. While Volkert remained another rare consistent element of the team, the youth and inexperience of the undeniably talented Beer and Nüssing had essentially replaced the goals and experience of Brungs. At the ages of 21 and 19, Beer and Nüssing were arguably the right men at the wrong time. The two managed to collectively contribute just seven goals to the deteriorating cause. With the hoped-for upturn in fortunes after the winter break not immediately materialising, Nürnberg failed to win any of their opening five games after the mid-January resumption of action. The club was reaching critical mass, and stories of squad unrest were rife. Then came that four-game span, the final four games in which Merkel would lead the club. A 3-0 victory over 1860 Munich and his final game win against Eintracht Frankfurt acted as the bookend, to a draw against Schalke and a defeat at Hertha Berlin. Merkel and Nürnberg parted company within 48 hours of the win over Frankfurt. Still bottom of the Bundesliga, but now within touching distance of the teams above them, it was a case of the need for the inner-turmoil of the club to end sooner than the season and relegation battle itself, which led to him departing the club just as signs of life were appearing on the pitch. Merkel’s assistant, Robert Körner, oversaw the next two games, as defeats at Duisburg and Hamburg seemingly derailed notions of survival once more. Kuno Klötzer was brought in from Rot-Weiss Essen for the last six games, handed the seemingly impossible task of keeping the club in the Bundesliga. It was a mission that was so very nearly accomplished. Klötzer won his first three games, inclusive of a victory at home to champions-elect, Bayern Munich. This was followed up with draws against Werder Bremen and Borussia Dortmund – in games when Nürnberg came back from behind to win crucial points. Volkert – with Küppers and Nüssing making pivotal contributions during this final fightback. While the point gained at home to Dortmund on the penultimate day of the season had been crucial, the game had also been a missed opportunity, as a victory for Nürnberg would have relegated their opponents. The draw against Dortmund had still been enough to ensure that Der Club would begin the final day outside of the relegation zone, with their fate firmly within their own hands. In a remarkable turn of events, 18th placed Kickers Offenbach would travel to 17th placed Dortmund, while 16th placed Nürnberg would travel to 15th placed Köln, with all four sides separated by just two points and vulnerable to final day relegation. Armed with a superior goal average and home territory on their side, Dortmund went on the offensive from the start against Kickers, and they went into the half-time break with a 2-0 lead. With the scoreline in Cologne goalless at half time, it left Nürnberg once again staring the unthinkable square in the eyes. Not much more than five minutes into the second half, the fateful moments came. Almost simultaneously, Dortmund scored a third goal against Kickers Offenbach while the legendary Wolfgang Overath broke the deadlock against Nürnberg for Köln. It left Klötzer and his side with a mountain to climb. With nothing but a win now able to save them, Nürnberg swept forward in waves. Unable to breach the Köln defence, they twice fell to the sucker-punch of the counter-attack, eventually falling to a 3-0 defeat. Nürnberg, the defending Bundesliga champions, were relegated to the regionalised second tier of the West German game. The aftermath was one of bitter recriminations. Amidst the backdrop of Bayern Munich clinching their first Bundesliga title, a success reached with the help of Starek, one of the stars of Nürnberg’s title win the previous season, the finger-pointing began in earnest. Merkel came in for obvious criticism over his transfer strategy the previous summer. The departures of Brungs and Starek were damaging, while rumours of him having lost the faith of his players kept surfacing. The defender Leupold later recounted his own bewilderment over the structural changes that Merkel made during the summer of 1968. There were others to shoulder blame, too. Leupold’s defensive partner, Wenauer, was highly critical of goalkeeper Rynio, especially for what he saw as goal-conceding mistakes made during the pivotal 2-2 draw with Borussia Dortmund. Rynio would go on to join Borussia Dortmund that summer, with some parties believing that the goalkeeper had privately agreed to the move before the two teams faced each other. No proof ever surfaced to confirm the rumoured wrong-doing. The legendary Max Morlock, for a quarter of a century a Nürnberg goal-scoring phenomenon, was incredulous that his adored club could have become his nation’s first relegated champions. Yet, it was arguably a conspiracy of natural occurrences, poor timing and unforeseen events which took them down. While Starek’s replacement, Küppers, worked well, the sale of Brungs was stunningly detrimental. The wrong side of 30 he may have been, but having contributed 25 goals to the title-winning campaign, to allow him to leave, yet not replace him with a top-level alternative, was at best risky and at worst foolish. 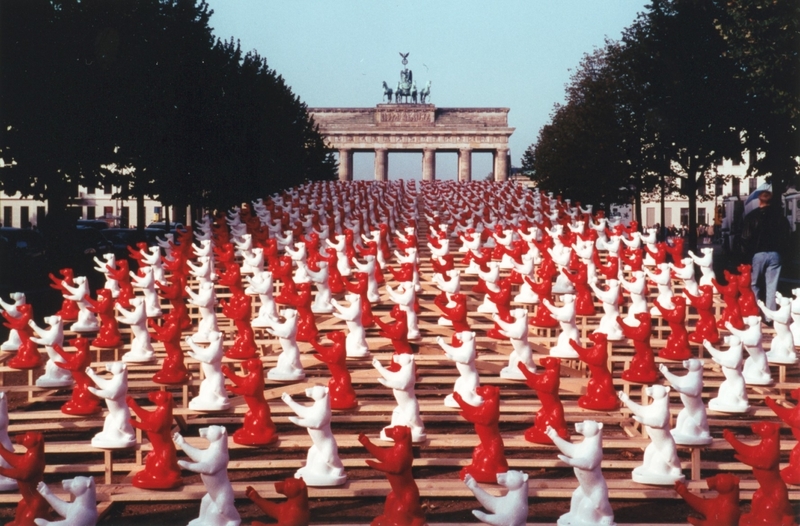 Tellingly, some of Merkel’s summer 1968 recruits went on to big things. Hansen would go on to a trophy-laden spell with Bayern Munich, while Beer would go on to a long and prolific association with Hertha Berlin, during which he would represent his nation at Euro 76 and Argentina 78. Zackyk would join Hamburg, where he would be joined by Volkert, with both going on to play alongside Kevin Keegan. Rynio, of course, headed to Borussia Dortmund. 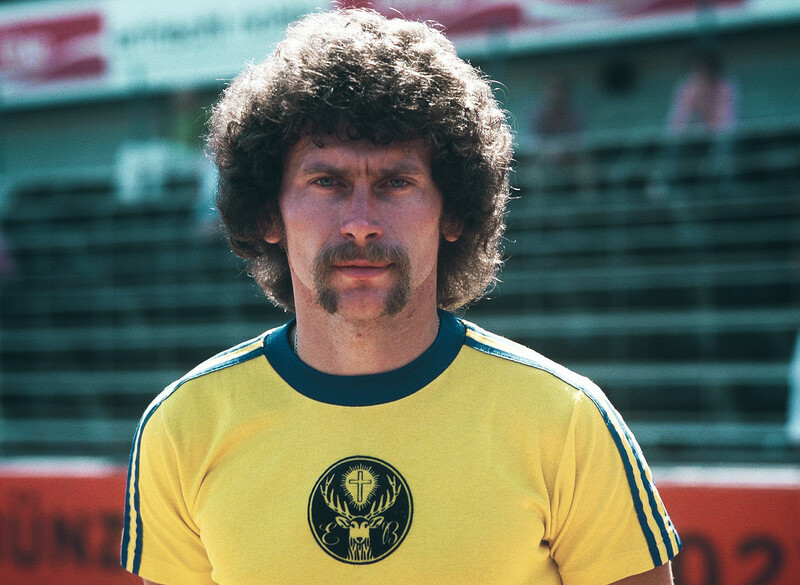 Other longer-term members of the squad went on to bright futures, inclusive of Müller, who left for Gladbach, while Nüssing would spend the 1970s as Nürnberg’s great hope, scoring freely for them throughout the clubs’ top-flight exile. It seems fair to say that Merkel’s eye for a footballer during the summer of 1968 was sound, but the chemistry of what he drew together proved to be volatile. For Klötzer, the man who almost saved Nürnberg from such an unwanted place in football history, he would see his former club Rot-Weiss Essen win promotion to the Bundesliga, just as his new club slipped through the trap-door, ultimately passing them in the opposite direction. He would stay on, but for one season only, leaving in the summer of 1970 after failing to return the club to the Bundesliga at the first time of asking. He later led Hamburg to success both domestically and in Europe. With a contrived five divisions, the regionalised second tier proved difficult to get out of for Nürnberg. Despite winning the Regionalliga Sud in 1970-71, they lost out in the end of season promotion playoff system. The following season saw the return to the club of both Brungs and Starek, in a bid to roll back the years and inspire a return to the Bundesliga, but it was yet another disappointing season. The 1974 introduction of the 2. Bundesliga, condensing the second tier into two divisions, and ensuring all champions would be rewarded with promotion, still failed to ease them back into the top-flight. A 1976 playoff defeat to old foes Dortmund was the closest the club came to a Bundesliga return, until their nine-year top-flight exile finally came to an end in 1978. A yo-yo existence then came into operation for Nürnberg. Relegated at the first attempt in 1978-79, they bounced straight back up a year later, finally finding their Bundesliga feet again throughout most of the 1980s and the first half of the ’90s. The team which bridged those decades even went into European competition for the first time since that fateful 1968-69 season. A new dip was to come, however, and after relegation from the Bundesliga in 1994, they found themselves in the third tier for the first time in their history by 1996. Immediate back-to-back promotions took them back to the Bundesliga by 1998. Since 1998, Nürnberg have encountered more wild fluctuations; four relegations plus three promotions, even another return to Europe and a domestic cup success in 2007, which was followed by shades of 1968-69, as they befell relegation the very following season while cup holders. Bouncing back up at the first time of asking in 2009, their latest relegation came in 2014, and currently the club is treading water in the mid-table of the 2. Bundesliga, struggling to shake off the effects of letting a strong position slip during last season’s promotion playoff, narrowly losing the second leg at home to Eintracht Frankfurt, having drawn the first leg away. As for Merkel, his career went on from strength-to-strength. 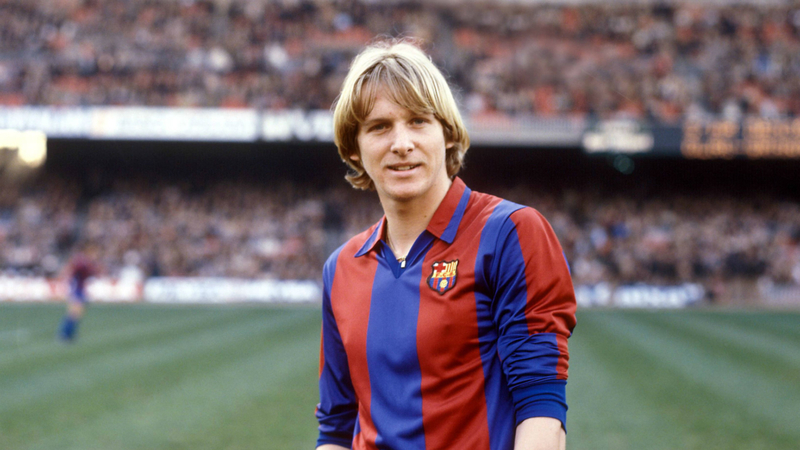 Impervious to the vagaries of the calamitous 1968-69 season, he headed off to La Liga, firstly with Sevilla, whom he led to a third place finish in his debut Spanish campaign, and then on to a two-season spell with Atlético Madrid, winning the Copa del Rey in 1972 and then the La Liga title a year later – piecing together the side which would, in his absence, go on to come within one minute of winning the 1974 European Cup final. He returned to West German football in 1974, where the emotional pull of 1860 Munich proved too hard to resist, despite them languishing in the newly formed second tier. Despite some promise, they missed out on the promotion playoffs by just three points. Merkel then took up the chance of a return to the Bundesliga with Schalke 04 for the 1975-76 season, during what turned out to be a tempestuous eight months in Gelsenkirchen. He departed the club as they sat in eighth position and on the periphery of the battle for European football. After an unsuccessful attempt at promotion from the 2. Bundesliga during 1976-77 with Augsburg, Merkel’s reputation as a difficult personality was enhanced further during a two-year spell as the president of Bayern Munich, inclusive of an intense stand-off with a squad of players that refused to deal with him. With Merkel unwilling to back down, his two-year contract was allowed to run its course, without him ever setting foot on the training ground. Beyond the civil war of Bayern Munich, two more jobs fell his way, the first in charge of Karlsruher for the final 20 games of the 1981-82 season, steering an unsteady ship to Bundesliga survival, then a short time at the helm of FC Zürich in 1983. Post-football, Merkel remained within the public glare, taking his seat within the ranks of the media, with a regular column for Bild, from which he became renowned for his criticism of the West German national manager, Jupp Derwall, and for his entertainment orientated outbursts, which went on to be christened ‘Merkel’s Proverbs’. He was a man who remained a talented thorn in the side of his rivals long after his coaching career ended.